. 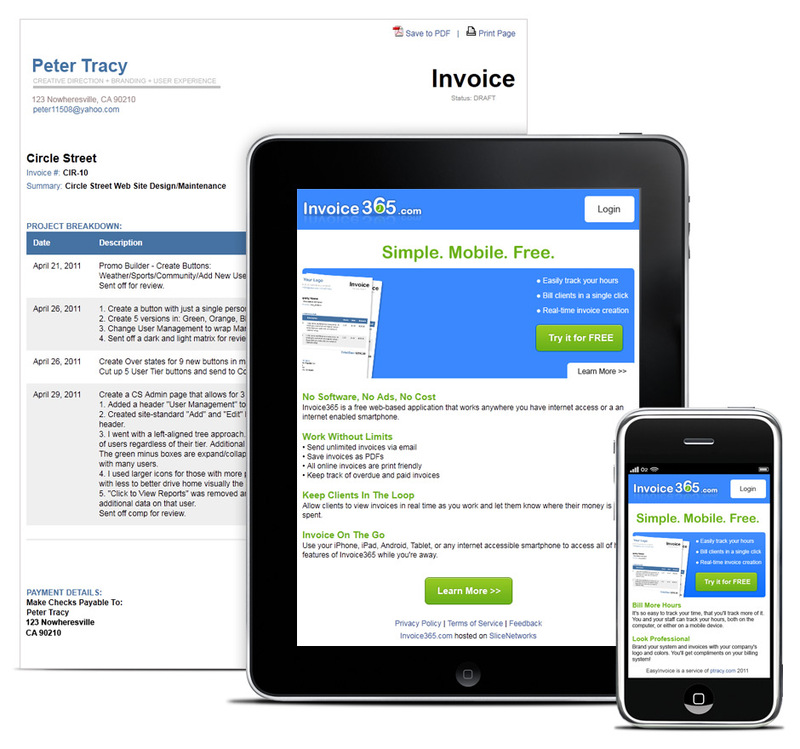 : Peter Tracy - Invoice365.com :. This self-driven, ongoing experimental project is a free invoicing tool designed to speed up billing clients and tracking invoices. Art Direction, brand identity, layout design, UI, UX, development.